Miners who have been on strike for the past 11 days at the Media Luna mine in the Mexican state of Guerrero say that they might ramp up actions and shut down two more sections of the mine if their demands keep getting ignored. Following conversations with the workers, who remain at the entrance of the mine near the town of Real de Limón, the representative for the National Executive Committee of the Mining Union, Indalecio Pérez Morones, said that the arrival of 100 officers of the Mexican armed forces to the mine spurred the protesters' anger. Media Luna is owned by Canadian company Torex Gold Resources (TSX:TXG) and it sits at the company’s Morelos Gold Property. Workers went on a strike to demand better pay and the right to join the National Union of Mine, Metal, Steel and Allied Workers of the Mexican Republic, known as Los Mineros. The problem is that Torex Gold's subsidiary in the country signed an agreement with a different union without the input or knowledge of affected workers. On top of that, the arrival of military personnel on Monday is understood by the miners as an attempt to crackdown on their fundamental labour rights. "We are not going to allow them to drive us out because this is a labour strike, not a blockade, and we are not violating company officials or local authorities' rights to go in and out of the mine," Pérez Morones said in a press release (in Spanish). He also emphasized that the protest is taking place outside of the company's property to avoid being accused of vandalism. As this situation develops, the Canadian branch of United Steelworkers is asking Prime Minister Justin Trudeau to intervene. The situation "demands the Canadian government's intervention to defend the democratic rights of workers and communities affected by a Canadian mining company's operations," said Ken Neumann, the union's National Director for Canada, in a statement. Neumann cited the Trudeau government's claims that it wants 'progressive labour standards' in a new NAFTA to improve wages and working conditions for Mexican workers. 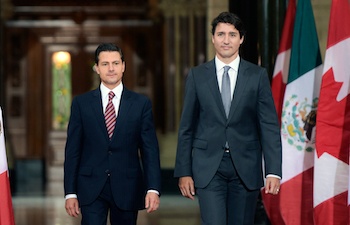 "As NAFTA renegotiations shift to Mexico this week, this is an opportune moment for the Canadian government to back up its words with meaningful action," he said. 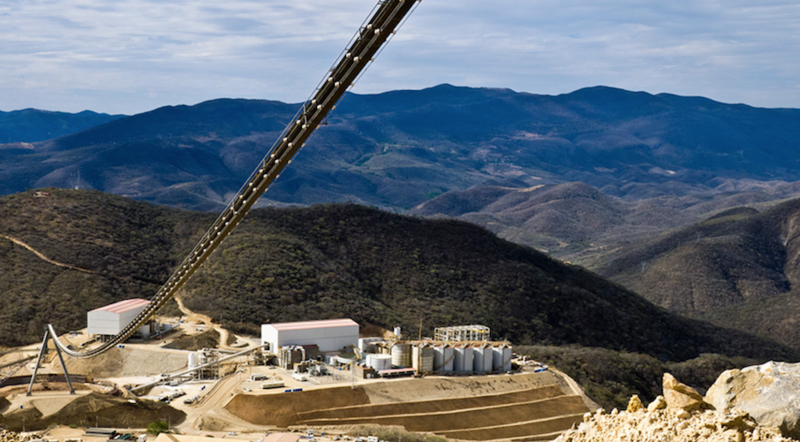 Torex, on the other hand, issued a press release on November 7, 2017, alluding to an illegal blockade at its El Limón-Guajes mine, also within the Morelos Gold Property. However, the company did not mention the situation at Media Luna. According to miner, the action started on November 3, 2017, and on the evening of November 6, 2017, a group of 35 blockaders started threatening company staff, who had to be evacuated from the site. “This escalation will weaken the relationship between employees and the company and between contractors and the company. Upon resolution of the illegal blockade, the schedule to restart the operations will be dependent on how many personnel elect to return to site. This is an unknown outcome, at this time,” Fred Stanford, President and CEO of Torex, said in the statement.